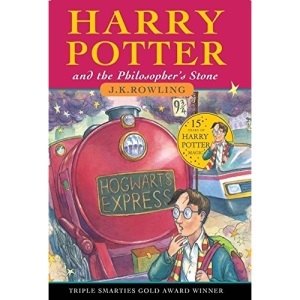 Harry Potter is an ordinary boy who lives in a cupboard under the stairs at his Aunt Petunia and Uncle Vernon's house. He is bullied by them and his cousin Dudley, and lives a very unremarkable life with only the odd hiccup to cause him much to think about. That is until an owl turns up with a letter addressed to Harry and all hell breaks loose. Harry discovers he is a wizard, makes close friends and a few enemies at the Hogwarts School of Witchcraft and Wizardry, and with the help of his friends thwarts an attempted comeback by the evil wizard Lord Voldemort, who killed Harry's parents when Harry was one year old.